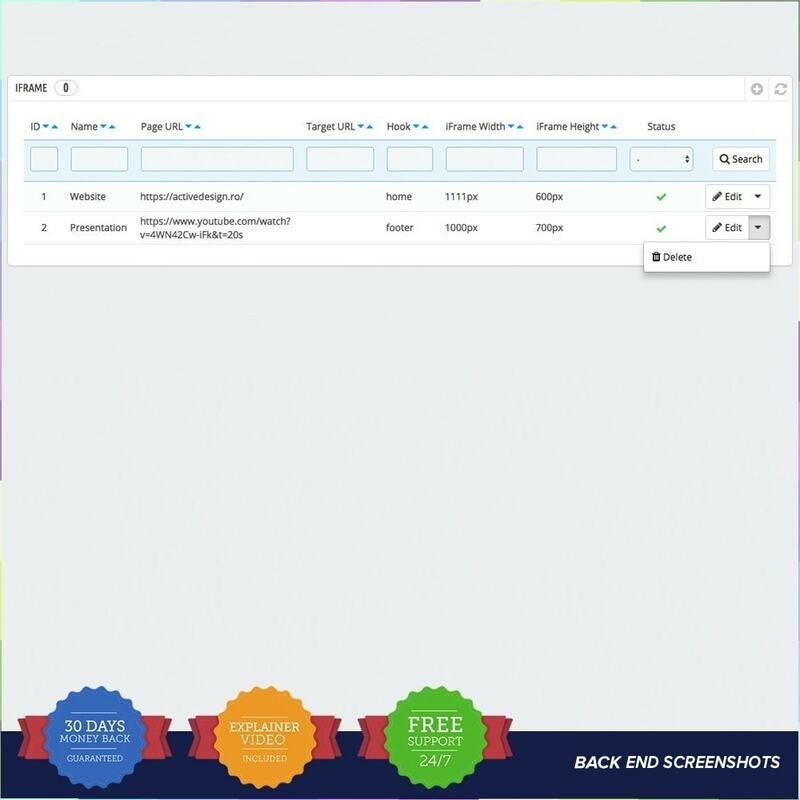 iFrame Manager - Insert an external web page is a PrestaShop module that allows you to add iFrames with content of your choice on different places and pages of your PrestaShop online store. 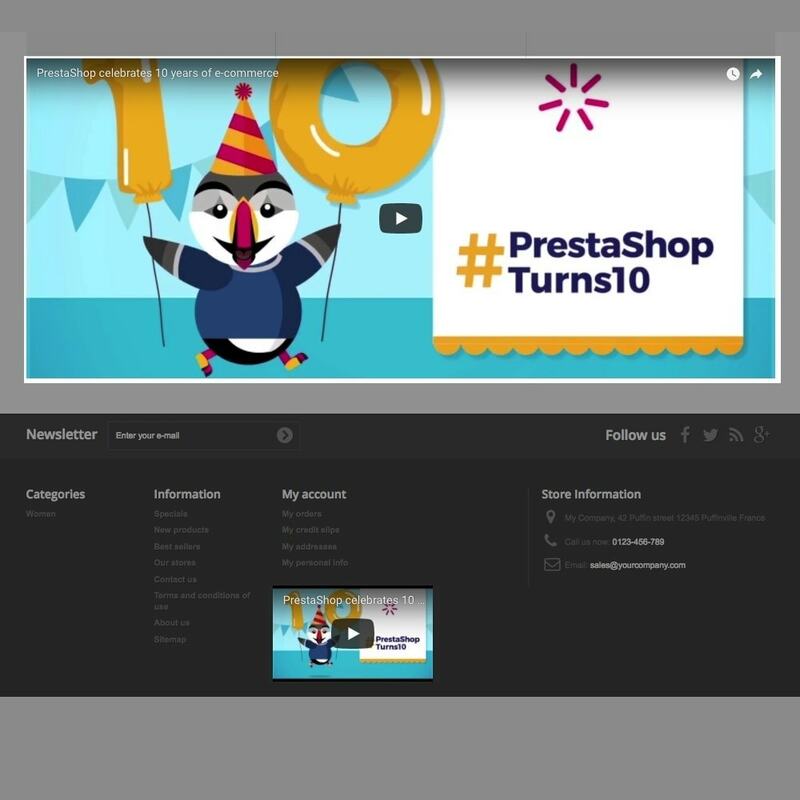 iFrame Manager - Insert an external web page is a PrestaShop module, the best solution to add external content anywhere on your PrestaShop online store: a forum such as IP. Board, phpBB, or any page that you have created, even a page from social networks like Facebook, twitter etc. 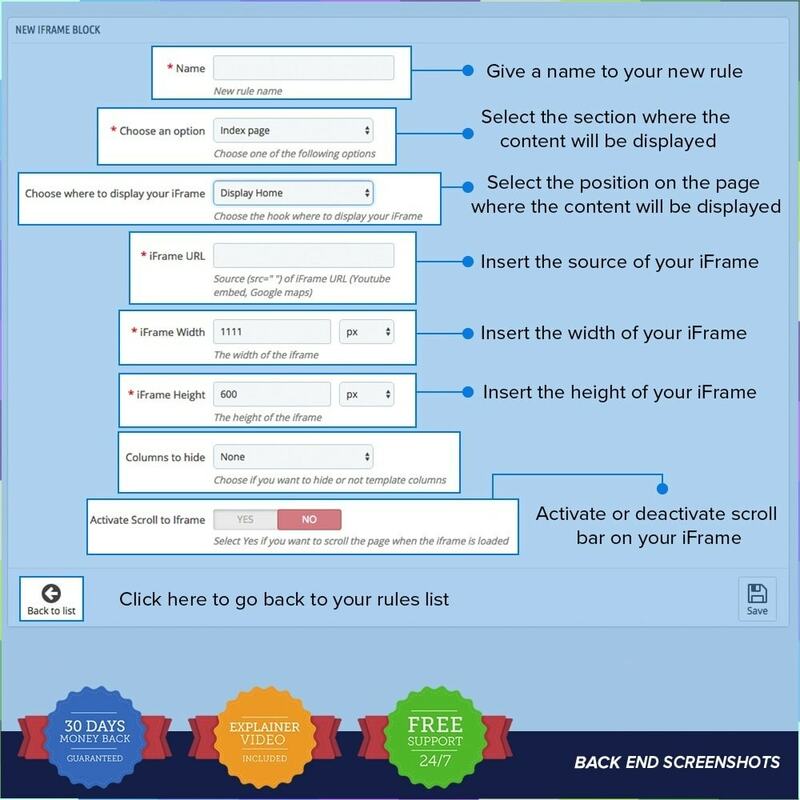 From the back office, you can fully customize your iFrames.